I saved this dirty pair for a while. I wore these for about a week and as you can see. It's disgusting! 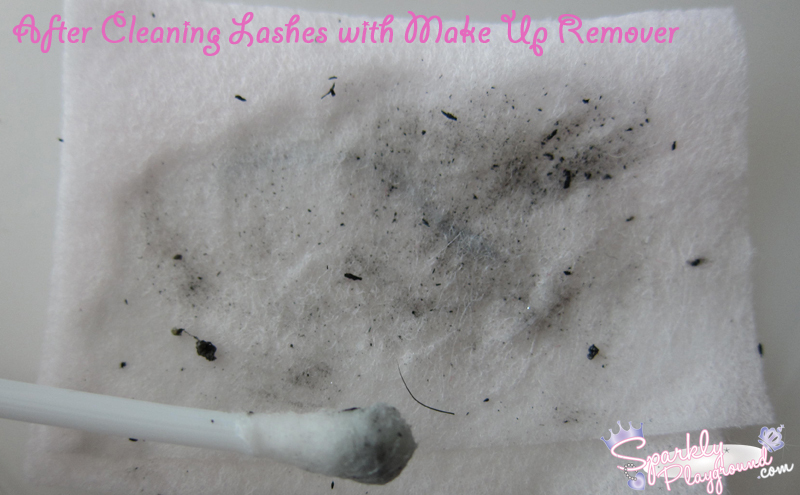 It's really important that you clean out your lashes because it will accumulate bacteria and can easily go back to infecting your eyes! Your eyes are precious!!! I tend to like DIYing my lashes to get the look I want. So I have Velour Lashes in "Are those Real? ", cheap china falsies cut in half, and Cheap China falsies short ones. I know it's hard to tell I combined 3 pairs into one, but you will see them at the end of the post once it's all cleaned! By the way, I purposely chose these dirty lashes because it has Mink lashes and Synthetic lashes. 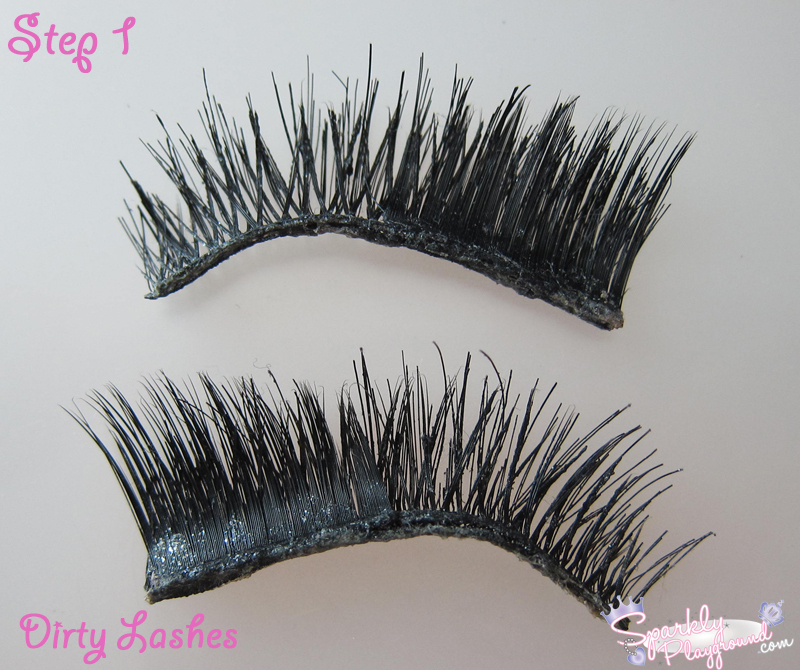 I wanted to demonstrate how this tutorial works on both types of lashes! Take a container and fill it with water. 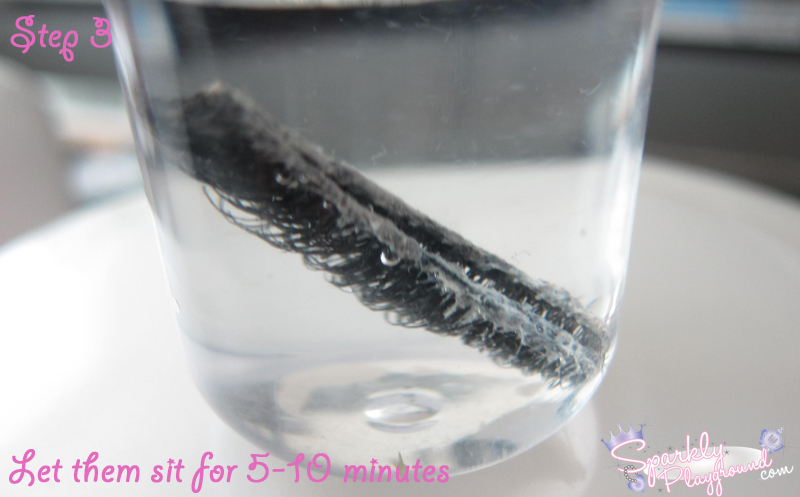 Soak your lashes in there and let it sit for 5 to 10 minutes. You will see the glue residue rubber thing become white. This is totally normal. 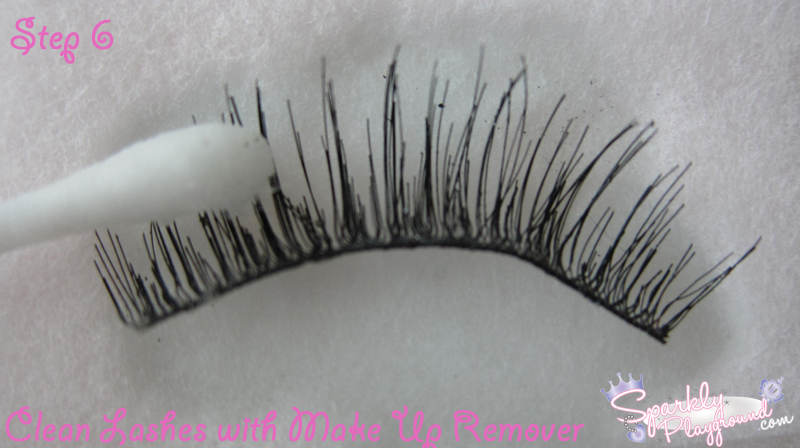 I avoid using Make Up Remover, Cleansing Oils, and Cleansing Foam to remove the residue at this step because it tends to MELT the glue. It's a hot mess, no joke. It's much easier this way. You will see by the next picture! 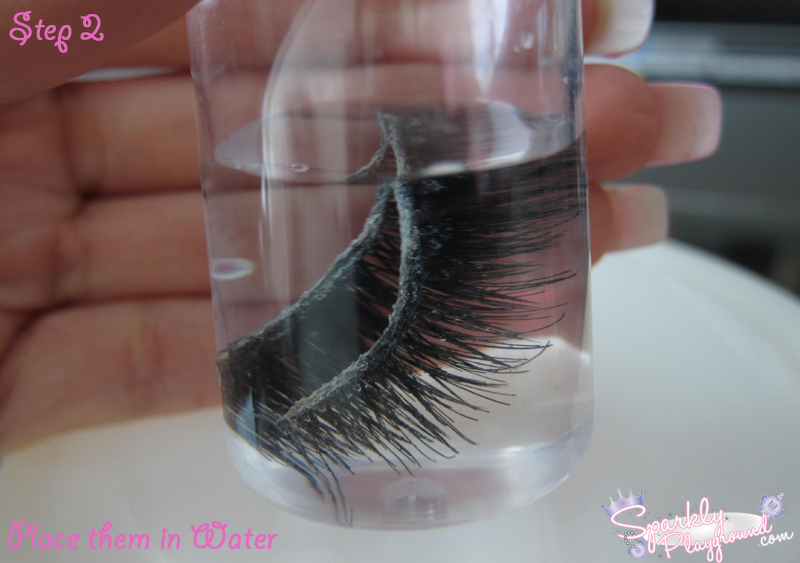 So I removed the lashes from the water and gently pat them dry with a tissue or cotton pad. At this point, you can easily just peel the glue residue off. (You can use tweezers if you dont have long nails). Most times, I get it all off in one long piece! If you used any other substance other than water, the glue tends to dissolve and it becomes all sticky and melted and gross. Look at all the gross make up I removed from this step. Impressive?? It's important to use Q-tip and cotton pad because its more gentle. Our fingers and nails tends to be much bigger in size and it can break the lashes (fall outs). I hope you guys like this tutorial! I tried to break it down as much as possible. I know it's probably a lot of work but it's totally worth it for the expensive lashes and your eyes!! My china cheap lashes, I usually just throw them out. But for example, my M.A.C. 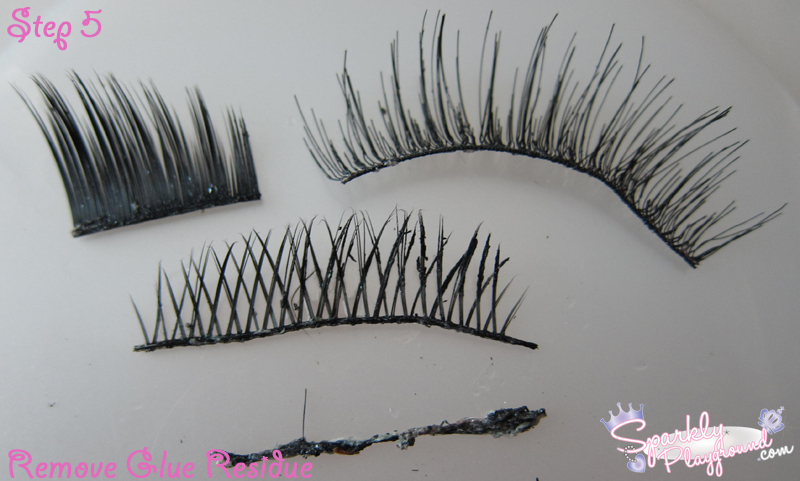 lashes, Velour Lashes, Dolly Wink lashes and Diamond Lashes, I ALWAYS use this method to preserve them as long as possible. 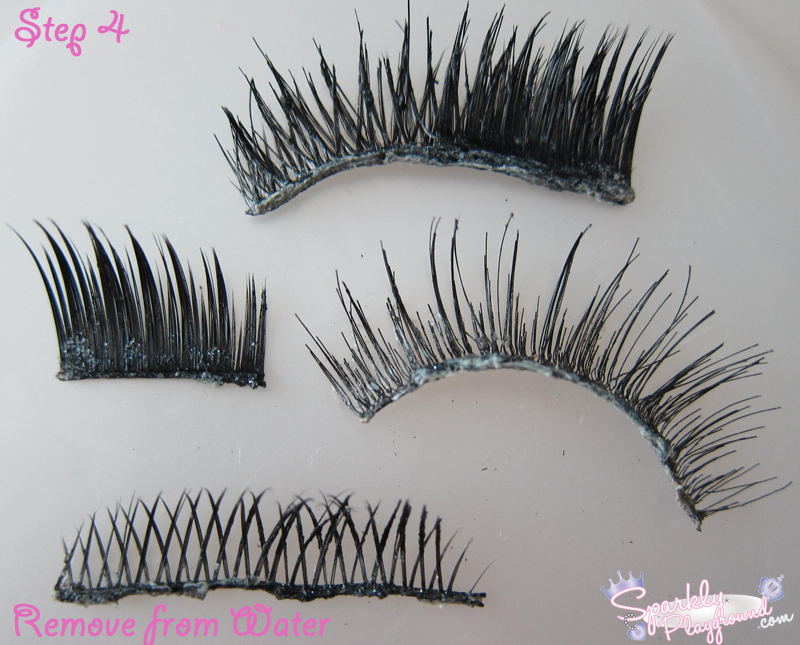 If you have other methods of cleaning lashes please let me know in your comments! !